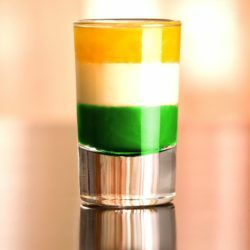 The Irish Flag drink is a layered shooter cocktail featuring green creme de menthe, Baileys Irish Cream and Grand Marnier. This combination mimics the colors of the Irish flag – green, white and orange. The Honey Vanilla Margarita adds a hint of – you guessed it – honey and vanilla to your traditional margarita flavors. Those flavors come from Licor 43, a Spanish liqueur that tastes like honey and vanilla with citrus. 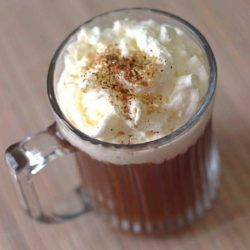 The Spanish Coffee is a coffee cocktail that features Licor 43, an uncommon liqueur that tastes of vanilla and spice, with distant hints of citrus.